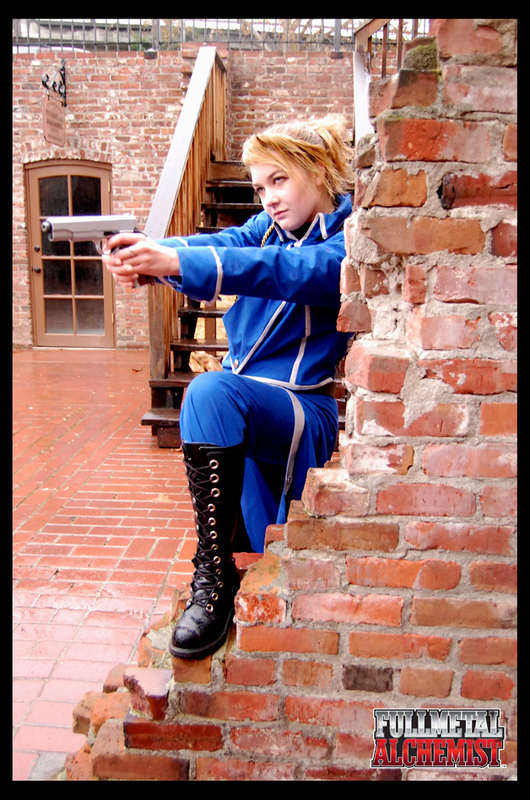 Riza cosplay. . HD Wallpaper and background images in the Riza Hawkeye Anime/Manga club tagged: fullmetal alchemist brotherhood riza hawkeye. This Riza Hawkeye Anime/Manga photo might contain सड़क, शहर के दृश्य, शहरी सेटिंग, शहर दृश्य, शहरी की स्थापना, हस्ताक्षर, पोस्टर, पाठ, चॉकबोर्ड, साइन, साइन इन करें, hip boot, and thigh boot.